The Best American Beauty Bloggers from thousands of top American Beauty Bloggers in our index using search and social metrics. Data will be refreshed once a week. California About Blog A beauty blog dedicated to bringing you the latest makeup news, makeup reviews, and beauty tips. We cover MAC makeup news, Urban Decay, Channel, NARS Cosmetics, and much more. Facebook fans 215,752. Twitter followers 112,358. New York About Blog Musings of a Muse is a makeup and beauty blog dedicated to makeup reviews, beauty on a budget finds, skincare, and much more from both the US and Asia. Facebook fans 20,134. Twitter followers 18,910. Midwest About Blog Welcome to Beauty411! Beauty411 was started in 2007 as a way for me to share my love of cosmetics, especially skin care. Friends would always ask what the latest skin care regimen I was using and sometimes it was complicated. Having a centralized location for beauty and skincare product reviews seemed like the perfect solution. Today, Beauty411 has evolved to feature daily beauty product reviews, the latest in skin care, makeup tips and techniques and beauty news. Facebook fans 3,194,496. Twitter followers 69,093. Facebook fans 15,630. Twitter followers 35,401. Los Angeles, California About Blog My Beauty Bunny (TM) is a an award winning, Los Angeles based top beauty blog about cruelty free beauty products for guys and gals who can’t get enough hair, skin, makeup and other beauty products not tested on animals. Cruelty-free beauty, hair care and skin care product reviews tested and written by animal-loving beauty junkies! Facebook fans 612,604. Twitter followers 52,433. Tampa, FL About Blog Pale? It’s called porcelain and I’m rockin’ it! Hi, I’m Courtney, I’m a writer and a beauty addict. I share honest reviews, how-to’s, tips and more to help you be fearlessly beautiful. I specialize in pale girl beauty, hooded eye makeup, cruelty free beauty and vegan fashion. Facebook fans 126,524. Twitter followers 14,145. Pittsburgh, PA About Blog FutureDerm is a global online destination for intelligent, fun Beauty Geeks. We explain the science behind beauty products and ingredients. Facebook fans 25,433. Twitter followers 10,610. Florida, USA About Blog The Beauty Lookbook is dedicated to to featuring mid to high-end luxury beauty products including cosmetics, fragrances, home scents, skincare and body products. Facebook fans 5,326. Twitter followers 7,847. Massachusetts About Blog Sharing a passion for beauty, mother-daughter duo Teri and Caci are constantly talking about makeup, trying the latest hair trends and obsessing about their skin. Join them as they share their latest finds & tips. Facebook fans 2,564,642. Twitter followers 44,807. 10. Beauty Info Zone - Reviewing beauty products so you know! Michigan About Blog Beauty Info Zone is the creation of two women, Marcia and Lisa. They have been blogging about cosmetics since the late ’90’s, and are so crazy about cosmetics they each became makeup artists. Lisa and Marcia created their blog as a resource to showcase real-life experiences with products along with detailed information for those researching products. Facebook fans 7,156. Twitter followers 5,434. Facebook fans 131,990. Twitter followers 10,512. Facebook fans 68,774. Twitter followers 2,478. Virginia About Blog The best beauty blog featuring makeup, skincare, hair, fashion, beauty hacks, deals and dupes. Barbie's Beauty Bits is The Resource For All Things BEAUTYful! Facebook fans 9,141. Twitter followers 12,328. Chicago Suburbs, Illinois, USA About Blog Makeup News and Makeup Reviews. Full Coverage of Cosmetics, Makeup, Hair Care, Skin Care, and Beauty Products, along with Fashion Accessories, all with an eye for technology. Facebook fans 1,208,233. Twitter followers 4,730. Denver, CO About Blog Glo Skin Beauty provides the full spectrum of skincare and beauty. From your cleanser to your lipstick or moisturizer to your mascara, Glo Skin Beauty provides transformative skincare solutions paired with high pigment mineral makeup to keep you looking your best. Facebook fans 92,648. Twitter followers 9,624. MA, USA About Blog Fashion and Beauty channel by blogger Camila Coelho. Get makeup tips, trends, giveaways and lifestyle vlogs on this channel. Facebook fans 2,871,854. Twitter followers 287,742. Baltimore About Blog Gouldylox is a beauty and lifestyle blog that focuses on helping real women look and feel their best. Facebook fans 824,192. Twitter followers 2,741. About Blog Begin your journey towards clear, beautiful and glowing skin with Thank Your Skin's training program, expert advice and resources. Facebook fans 2,583. Twitter followers 171. Massachusetts, USA About Blog Beauty By Britanie is a natural beauty, holistic healing, lifestyle blog that incorporates a comprehensive look at beauty, fashion and wellness from the inside, out. Facebook fans 5,576. Twitter followers 6,325. North Hollywood, CA About Blog BH Cosmetics Offers Hiqh-Quality, Affordable Makeup. Read about new product launches, makeup tutorials & how-to's, the latest fashion & beauty trends, contests and more..
Facebook fans 1,503,532. Twitter followers 163,939. Facebook fans 23,859. Twitter followers 11,699. 22. Logical Harmony - Your guide for cruelty-free beauty! San Francisco, California About Blog Logical Harmony was created by Tashina Combs, a leading authority on cruelty-free & vegan beauty and lifestyle. Logical Harmony strives to bring you the best in beauty, lifestyle, fashion, health and diet. The content focuses on vegan beauty and the promotion of a healthy and animal-friendly lifestyle. Facebook fans 12,949. Twitter followers 8,194. Los Angeles & Joshua Tree, CA About Blog We heart this is a Los Angeles Lifestyle and Beauty Blog, Find Makeup Reviews and Swatches, Fashion, DIY Projects and more. Facebook fans 605,242. Twitter followers 15,787. Facebook fans 30,696. Twitter followers 6,942. Facebook fans 170,814. Twitter followers 9,199. US East Coast About Blog Thirteen Thoughts is a beauty and lifestyle blog. While Thirteen Thoughts started as a beauty blog, over the last couple of years it’s become a space where I share a lot more than some of my beauty favorites. In addition to sharing my love for some of my favorite makeup and skincare products, I also share photography and blogging tips as well as some advice for self-love, personal growth. Facebook fans 1,734. Twitter followers 1,479. Facebook fans 8,276. Twitter followers 296. Facebook fans 2,678. Twitter followers 887. Oxford, CT About Blog A natural skin and body care blog brought to you, featuring recipes, craft projects, ingredient profiles, and more! Facebook fans 309. Twitter followers 6,551. Los Angeles, CA About Blog A conscious living blog by Dawn Michelle. A blog about simplicity, organic beauty, DIY, motherhood, health & wellness, style, zero waste, inspiration. Facebook fans 7,359. Twitter followers 1,443. Facebook fans 1,331. Twitter followers 2,349. New York About Blog Style Sprinter is the creative space of blogger Katya Bychkova where she covers everything that happens in her life from outfit choices to parties and everything in between. Facebook fans 6,017. Twitter followers 7,828. Los Angeles About Blog Slashed Beauty is a budget beauty blog to help you keep up with the latest beauty trends without breaking the bank. Get Reviews, tutorials, and tips using affordable makeup. Facebook fans 5,054. Twitter followers 3,389. Ann Arbor, MI About Blog 15 Minute Beauty Fanatic is a beauty blog about quick beauty tips, product reviews and getting ready in a flash! Facebook fans 162,415. Twitter followers 24,855. Facebook fans 5,227. Twitter followers 849. Seattle About Blog I’m Amber, and I am a legitimate beauty product junkie—with the beauty industry background to match! Beauty Junkies Unite is my interactive way of sharing info with you on the products I love, and the ones that just aren’t for me. Please keep in mind, these are only my opinions, sometimes you may not agree with me—and that’s okay! Facebook fans 32,460. Twitter followers 48,029. Los Angeles About Blog Lola Style brings you the latest beauty tips, skin care tips, makeup styles, hairstyles, dressing ideas and more . Facebook fans 178. Twitter followers 1,832. Facebook fans 2,975,328. Twitter followers 547,810. Houston, TX About Blog Honest reviews about beauty products and services are my jam! I’m a 36-year old former attorney, mother of three, makeup nerd and skincare fanatic. I love to give personalized beauty advice! Facebook fans 3,659. Twitter followers 1,348. California About Blog Beauty blog featuring reviews of the finest high-end luxury products for the everyday woman. CafeMakeup puts a stop to post-shopping guilt, helping you make informed decisions about beauty. Because we all work too hard to look like we are wearing cheap makeup. Facebook fans n/a. Twitter followers 4,583. Kansas City About Blog kimberlyloc.com helps readers make smart green beauty purchasing decisions by providing honest, easy-to-read reviews. Written by natural beauty advocate Kim Wallace of Kansas City, kimberlyloc.com features natural beauty product reviews and glimpses into the life of a busy beauty addict. Facebook fans 2,150. Twitter followers 4,791. Facebook fans 42,334. Twitter followers 4,375. Los Angeles About Blog Girl Get Glamorous is a blog where we can be glamorous little divas and talk about everything hair, makeup, nail, & beauty related. Facebook fans 2,168. Twitter followers n/a. Facebook fans 1,088. Twitter followers 1,296. SC About Blog Southeast by Midwest is a beauty blog that does makeup reviews, beauty reviews, skin care reviews, nail polish swatches, and all other things beauty. Facebook fans 3,507. Twitter followers 5,721. Facebook fans 3,782. Twitter followers 15,380. North Carolina, USA About Blog I’m a stay at home mom by day, and makeup loving beauty blogger by night. Here, I can chat with you about makeup, hair care, skin care, and whatever else comes to mind. My ultimate goal is to create a fun and friendly atmosphere, where fellow beauty lovers can find helpful tips, and honest reviews on their favorite topics! Facebook fans 2,352. Twitter followers 2,355. USA About Blog Felicia is Publisher and Editor in Chief for ThisThatBeauty, a top-rated blog that features fashion, beauty news, product reviews, trend spotting, industry interviews, and more. Facebook fans 5,339. Twitter followers 35,050. Facebook fans n/a. Twitter followers 7,505. Boulder, CO About Blog Hi I'm Beti and I write the blog makeup-sessions.com. As a makeup and photography lover I started this blog to share my thoughts on all things beauty. Hope you enjoy! Facebook fans 435. Twitter followers 1,012. Milwaukee, WI About Blog My mission is to provide honest reviews, tutorials, and information about beauty products for women who enjoy the finer things in life! Facebook fans 3,650. Twitter followers 6,447. Facebook fans 389. Twitter followers 543. Southern California About Blog TheRAEviewer.com is the journaled resource hub for luxury and designer cosmetics, all falling under RAEview beauty umbrella. TheRAEviewer.com features in-depth product reviews, photos, swatches, and video tutorials. Facebook fans 34,691. Twitter followers 16,710. Seattle, WA About Blog Taneja's Bride is a place for all tutorial/DIY junkies to come together and see what is happening in the world today. Taneja's Bride focuses on lifestyle, beauty & trends worldwide, and highlights products and services in a way you can relate to! Facebook fans 9,885. Twitter followers 1,836. Orlando, FL About Blog Clumps of Mascara is a lifestyle blog from Brittany Minor. With features that include beauty and makeup reviews, parenting adventures, travel recaps and more, Clumps of Mascara is for the imperfectly perfect women and men of the world. Facebook fans 29,785. Twitter followers 11,469. New York City About Blog A Beauty Blog That Offers Accurate, Effective, and Affordable Skin Care, Diet and Health Advice. Facebook fans 17,711. Twitter followers 3,175. Des Moines, IA About Blog I’m Ivy and I really do wake up for makeup. I studied art in college and was a graphic designer in the ad agency world until my makeup dreams intervened. I am a freelance makeup artist and previously served as Operations Consultant and Senior Education Consultant & Certified Color Artist for Sephora. I do makeup and talk about it on the internet. Facebook fans 2,896. Twitter followers 1,667. Facebook fans 12,211. Twitter followers 4,747. California About Blog Mixed Makeup is your home for all things beauty! You can watch beauty expert Susan Yara, along with lots of friends to learn about the latest hair, makeup and beauty products and trends. Facebook fans 7,485. Twitter followers 8,635. New York! About Blog Candid reviews of non-toxic and organic skincare and makeup. Their mission is to find green alternatives in makeup, skincare and cleaning products! I hope to spread the word about the need to respect the environment and to reduce plastic waste! Facebook fans 4,604. Twitter followers 8,734. San Francisco Bay Area About Blog Beauty Vanity is a community celebrating the unique beauty of the everyday Asian American woman. Started by Alyson Alconis in 2013, her site has transformed into a beauty destination where women can share and read about makeup, skincare, hair, health, and everything else beauty related. Aimed to inspire and uplift, it is a place where we can share beauty routines, makeup looks and much more. Facebook fans 2,394. Twitter followers 4,100. Brooklyn, New York About Blog Beauty Lies Truth is a beauty website by Alexis Krauss, singer in the band, Sleigh Bells, and Jessica Assaf, beauty activist and entrepreneur. Our mission is to spread awareness about the unregulated beauty industry and promote the safest, highest-performing, and most affordable products on the market. We believe that the beauty industry needs a makeover. Facebook fans 3,072. Twitter followers 1,873. South Carolina About Blog With her blog Bare Beauty, Jessica Morse offers illuminating advice about what’s clean in wellness and beauty. With her expertly researched recommendations on a wide range of items – from shampoo to sunscreen, lipstick to laundry detergent – paired with easy-to–understand reviews, simple tips and a healthy dose of humor, Jessica proves that glamour can be green. Facebook fans 1,509. Twitter followers 1,005. Facebook fans 7,911. Twitter followers 3,183. Columbia, MD About Blog Politics of Pretty is a beauty blog for professional women. Yes, wearing blue mascara at your 9 to 5 is doable. Facebook fans 1,854. Twitter followers 4,267. Los Angeles, CA About Blog Former beauty & fashion publicist/social media expert, turned blogger. After years of working on the PR and marketing side of the beauty industry, Jamie took her insider knowledge and started Honestly Jamie, where she uses her former background to decipher between which products really work and what’s just marketing magic, all of which her readers truly value. Facebook fans 5,235. Twitter followers 10,393. Bay Area, CA About Blog Greetings, and welcome to my little slice of the internet! I am a beauty blogger with a passion for nails, makeup, hair, and skincare. I love writing and sharing my thoughts with my readers, and I hope you are able to find my posts informative and helpful. Facebook fans 3,338. Twitter followers 602. Phoenix, AZ About Blog I am a student of Makeupology, my pursuit of "science" as it pertains to cosmetic technology, concentrating on the nuances of color, texture and design...basically a makeup geek, wife, mom, friend and generally silly person. Facebook fans 3,340. Twitter followers 3,476. San Francisco, CA, United Stat About Blog Bay Area Beauty Blogger focuses on topics like makeup looks, tutorials, product reviews, sales, fashion advice, outfit inspiration, and things to do in San Francisco. Facebook fans 445. Twitter followers 3,183. San Diego, CA About Blog I launched Beauty is Within in 2007 to help people find balance between their inner beauty and outer beauty. From personal style tips, health tips, beauty affirmations to beauty product reviews and musings on celebrity fashion, Beauty is Within offers my unique perspective on all things beautiful and chic. Facebook fans 539. Twitter followers 1,079. Virginia About Blog Peppermint Lips Beauty is a blog about anything and everything beauty related! Find Makeup tutorials, reviews, giveaways, hauls, fashion posts and more! Facebook fans 1,704. Twitter followers 1,509. Facebook fans 5,720. Twitter followers 591. USA About Blog Lindsay is a beauty blogger who loves to explore cosmetics and skin care from budget to luxury. Facebook fans 1,951. Twitter followers 3,325. Facebook fans 1,554. Twitter followers 1,203. USA About Blog Beautyblog.us helps you find the latest and greatest free beauty samples, trials, sweepstakes, and beauty box subscription trials from all over the web. Find answers to all your beauty issues here on our blog. Here you will find guest postings, product reviews, and other posts that will help keep you beautiful at any age. Facebook fans 2,032. Twitter followers 32,313. Washington About Blog Bluemercury.com is a leading luxury beauty retailer offering the best cosmetics, skin care, makeup, perfume, hair, and bath and body. Facebook fans 120,085. Twitter followers 13,340. Georgia, United States About Blog My name is Chelsee and this is my blog. On Southern Beauty Guide, you will find a mix match of beauty and lifestyle. I love sharing opinions on beauty products and the trials and tribulations of my oh so crazy life. Facebook fans 1,030. Twitter followers 9,450. United States About Blog IMAN Cosmetics brings you beauty brings you beauty, fashion and culture commentary from a company designed for women who represent many races, cultures and ethnicities with skin tones in a myriad of shades. Facebook fans 201,887. Twitter followers 26,585. Las Vegas, NV About Blog Battle for beauty is a beauty blog about all things dealing with make up, skin care, hair, lifestyle etc. To be a confident woman is to be a strong woman and I want to encourage women to be their most confident selves. Make up can give women the power and confidence to be as beautiful on the outside as they feel on the inside and I want to give women as many tools as possible to make that happen. Facebook fans 238. Twitter followers 877. United States About Blog I am a professional makeup artist. I'm young, ambitious & full of life. I post makeup tutorials and makeup reviews on all different holidays and themes, like smokey eye tutorials, how to shape and sculpt brow tutorials, challenges/tags, celebrity makeup tutorials like the Kardashians and Jenners along with other celebrity makeup looks, hair tutorials and more! I hope you love my makeup tutorials. Facebook fans 438,531. Twitter followers 1,447,547. United States About Blog This beauty channel is where I teach tutorials, create favorites videos, tags, shenanigans that go on in my life, etc. I hope you guys can join me in this crazy adventure that is Youtube and the beauty world. I am constantly learning and growing with you guys! Honestly I believe that men can wear makeup, teach makeup, and vlog about it just as much as girls can! Facebook fans 612,514. Twitter followers 1,072,688. Los Angeles, CA About Blog I'm totally addicted to makeup and upload unbiased Product Reviews, Tips, Hauls and Tutorial videos on Drugstore & Luxury Beauty Products. Facebook fans 366,087. Twitter followers 504,229. Los Angeles, CA About Blog Embrace your natural beauty but don’t be afraid to also embrace being a girl and playing with makeup its ok to glam it up. Facebook fans 643,005. Twitter followers 392,737. Los Angeles, California About Blog Changing the standard of beauty, one video at a time. I am a makeup, beauty, fashion, travel and veteran Nigerian-American gal in LA. Freelance makeup artist. Facebook fans 113,390. Twitter followers 281,015. Los Angeles, CA About Blog At Makeup Geek, we believe high quality, cruelty-free cosmetics should be fun and affordable. Makeup Geek is an online cosmetics company and beauty website staffed by a team of cosmetics aficionados with a passion for makeup education. The brand is committed to exceeding customer expectations, sharing useful beauty tips, and most importantly, supporting positive beauty messaging. Facebook fans 791,057. Twitter followers 262,798. Location United States About Blog Hey Everyone! I'm Tiffany. I'm a YouTube Beauty Guru/Blogger. I like to talk about makeup, fashion, home decor, and my life. Hope you love it here! Facebook fans 162,878. Twitter followers 153,963. Illinois, USA About Blog I'm a former news anchor, a wife, and most recently... a momma! My goal with every video is to provide my incredible viewers with creative, original, and honest content! I see makeup as a creative outlet, and also a confidence booster. It's about looking good, feeling good, and passing those good feelings on to others. Facebook fans 466,825. Twitter followers 92,354. Los Angeles, California, United States About Blog Here you'll find all things Beauty, Skincare, Hair, Fashion and Lifestyle. My name is Sona Gasparian, I'm a professional makeup artist turned Beauty and Fashion blogger/vlogger based in sunny Los Angeles! Facebook fans 76,454. Twitter followers 10,509. About Blog Morgan Stewart is the one of the top Korean Beauty specific blogger in the United States. She does reviews, discusses latest trends, and shares her experiences with Korean makeup and skincare. She has been featured in Teen Vogue, Marie Claire, and several other media outlets and is considered one of the go-to’s for anything Korean Beauty and Beauty in general. Facebook fans 11. Twitter followers 4,631. Facebook fans 93,032. Twitter followers 3. Facebook fans 3,922. Twitter followers n/a. Tennessee, USA About Blog I want to welcome you to my very 1st blog SimplyEverythingBeauty.com. My blog will focus on beauty tips, new products, and helpful ideas on how to stay looking your best. No matter what age you are, feeling pretty has always been important to a women’s self-esteem. Facebook fans 227. Twitter followers 2,767. Facebook fans n/a. Twitter followers 846. New London, CT About Blog Defy Nature provides a long-term solution to all of your aesthetic and cosmetic skin care needs. We use only the latest technology that has demonstrated lasting results while keeping to the highest of safety standards. Facebook fans 600. Twitter followers 110. Georgia, USA About Blog My name is Amy and I’m a 24 year old published nail technician/salon owner and blogger with a huge passion for life! You can expect the following posts here on my blog: nail art tutorials, hauls, nail hacks, beauty, and lifestyle posts. I welcome all that is positive and good here. Facebook fans 374. Twitter followers 249. Chicago, IL About Blog Hey Everyone! Welcome to my blog! I blog about all things makeup, as well as some fashion and lifestyle! Follow my journey of being a Freelance Makeup Artist! Facebook fans 18. Twitter followers 22. 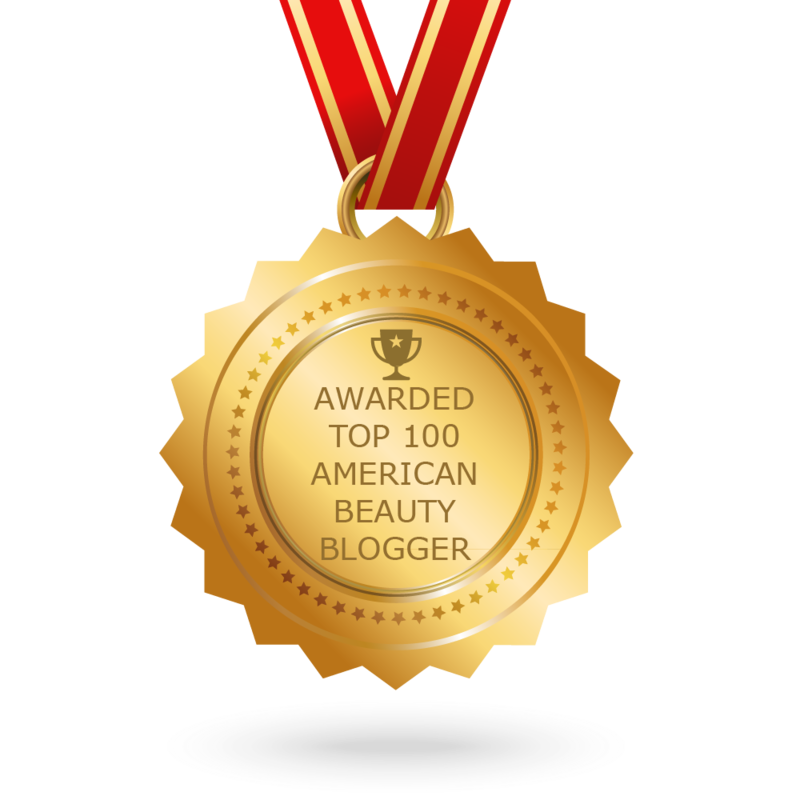 CONGRATULATIONS to every blogger that has made this Top American Beauty Bloggers list! This is the most comprehensive list of best American Beauty Bloggers on the internet and I’m honoured to have you as part of this! I personally give you a high-five and want to thank you for your contribution to this world.